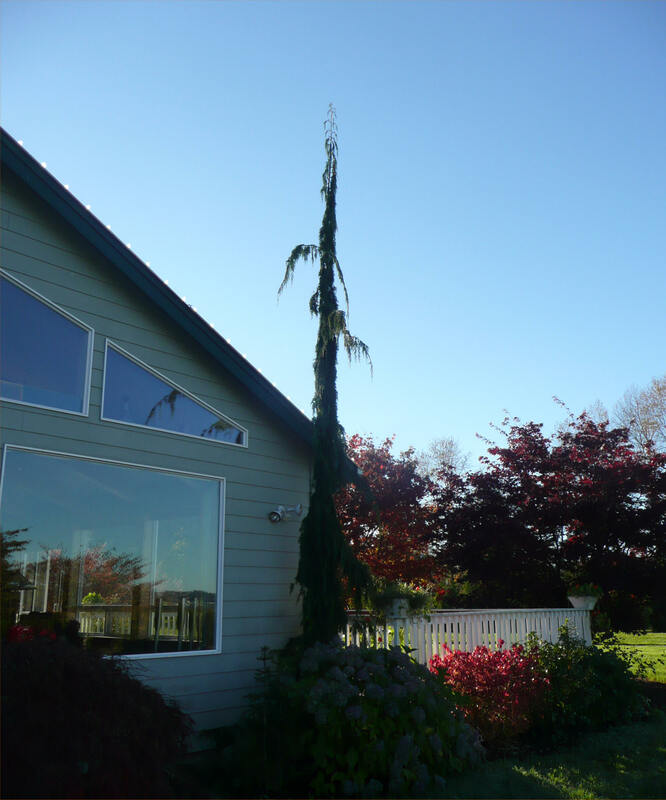 Weeping Alaska Cedar "green arrow"
This evergreen makes a unique focal or "exclamation point" in the garden because of its tall and extremely narrow growth habit. The highly pendulous branches are dark bluish-green to gray-green. Great for small, tight areas. Mature Height: to 30-35 ft. 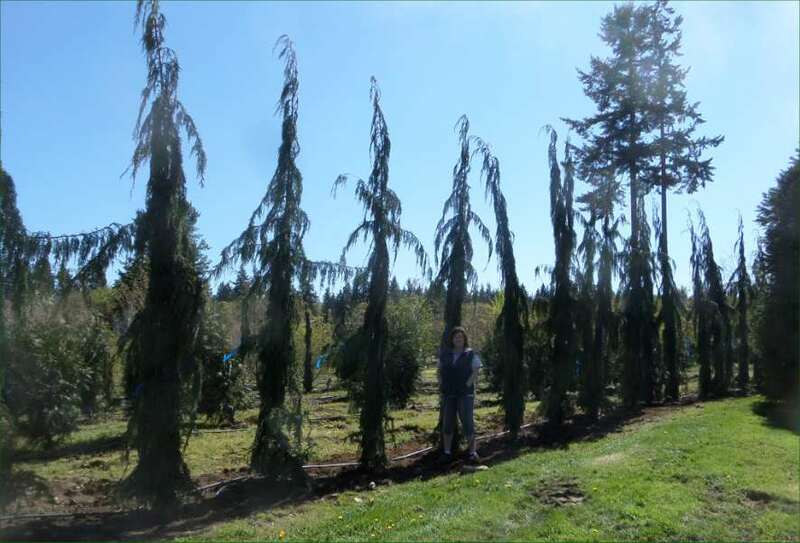 Mature Width: To 4-5 ft.
We also have large, specimen grade Weeping Alaska Cedar that we've "rescued" (see section and photos below). 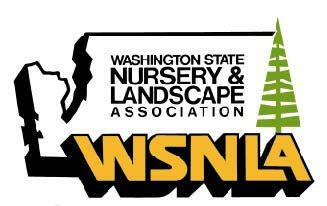 Weeping Alaska Cedar are on the Great Plant Picks list for the Pacific Northwest. 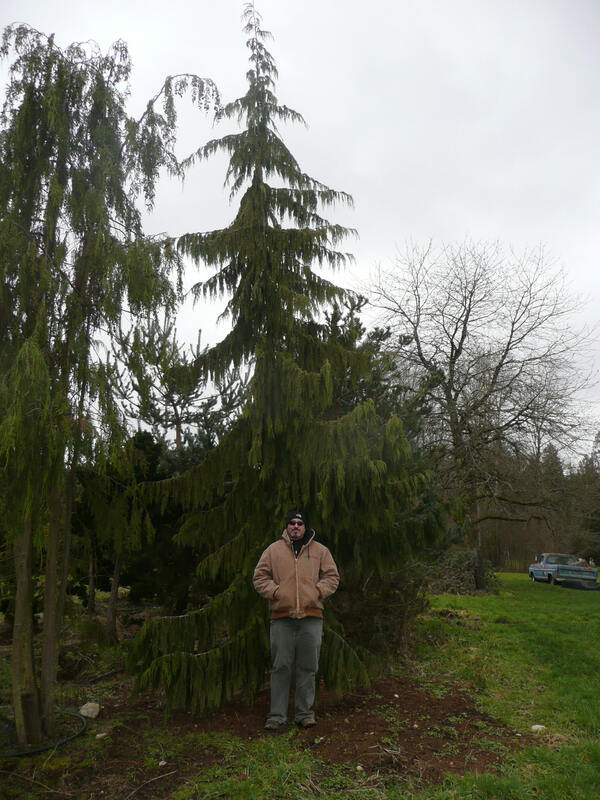 This is one of the narrowest cultivars of Alaska Cedar, even narrower than ‘Green Arrow’. 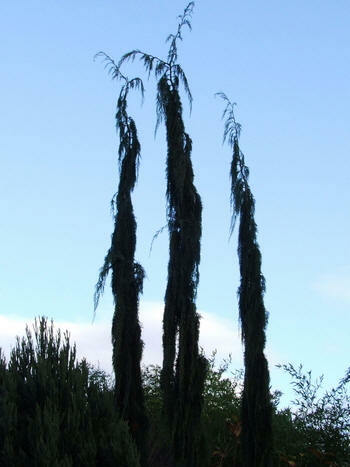 Branches are pendulous and hug the trunk as they grow. Medium to dark green foliage. Great for tight areas in full sun, and small yards. Mature Height: to 20-30 ft. Mature Width: To 1-3 ft. 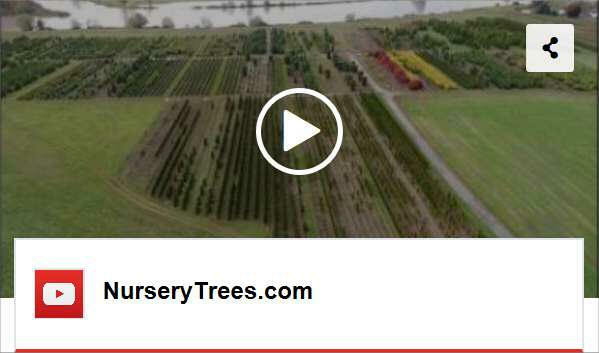 Please note: Our supply of trees is constantly changing; please call for availability. 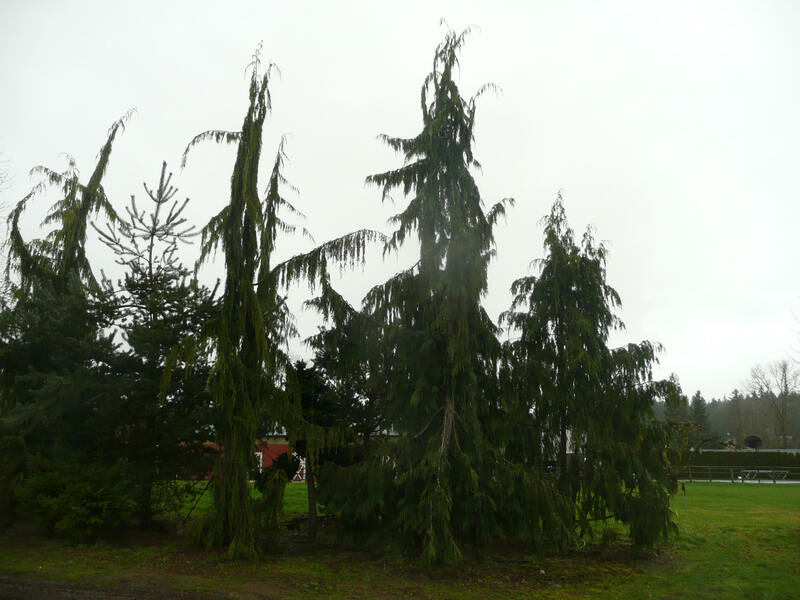 We have several "specimen grade", large Weeping Alaska Cedar. These are trees we have "rescued" and we often don't know what variety they are. Up to 25'. 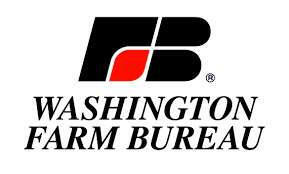 Please call for availability and pricing.